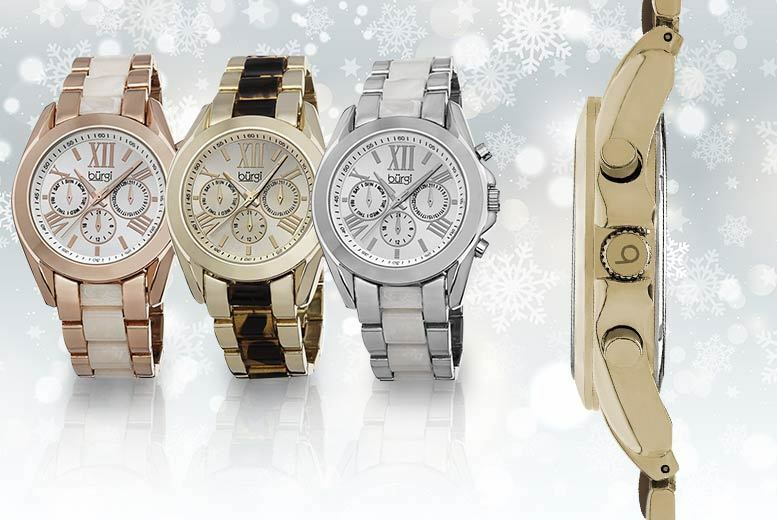 Any one of these fantastic watches would make a very special lady very happy on Christmas morning! With Swiss quartz movements, four dials including time, day, date and 24-hour, the receiver will have no excuse for lateness anytime soon. Get a women’s Burgi watch. With day, date and 24hr dials! And a Swiss quartz movement. Water resistant up to 10m. A fantastic Xmas stocking filler.